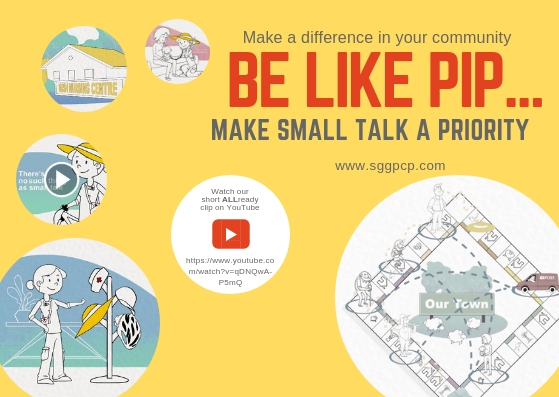 The importance of small talk in rural communities is being celebrated in a short animation recently released on YouTube by Southern Grampians Glenelg Primary Care Partnership, just in time for summer. 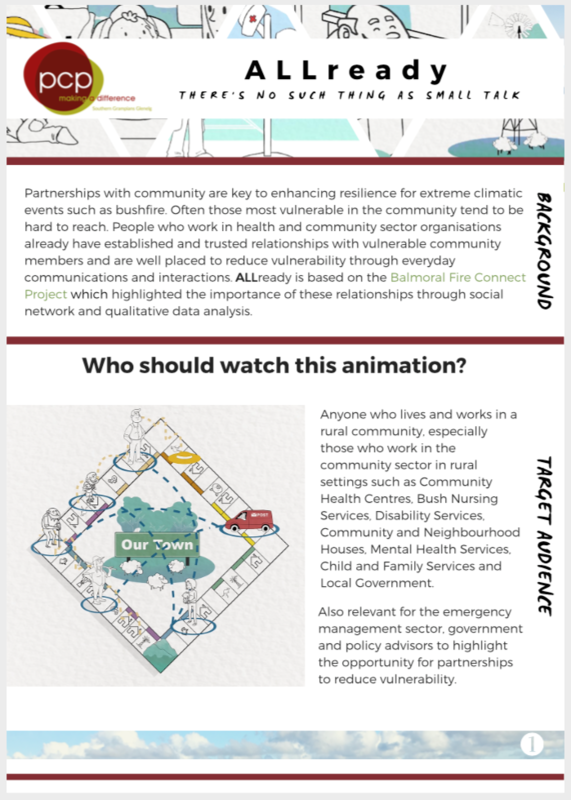 The animated video ‘ALLReady: There’s no such thing as small talk’, was developed to complement the award-winning Balmoral Fire Connect Project, which highlighted the important role played by people in health and community services sectors to share fire danger warnings, encourage bushfire preparations and check in on neighbours. Southern Grampians Glenelg Primary Care Partnership (SGGPCP) Manager of Health and Wellbeing and project director, Joanne Brown said she was thrilled to launch the short clip, and reinforced the message that informal conversations were an invaluable, and often underrated tool. “The one-minute video evolved from the Balmoral Fire Connect Program, explaining how simple conversations and trusted connections in community can help us stay safe and increase resilience. It’s very timely given the early start of this year’s fire season,” said Ms Brown. 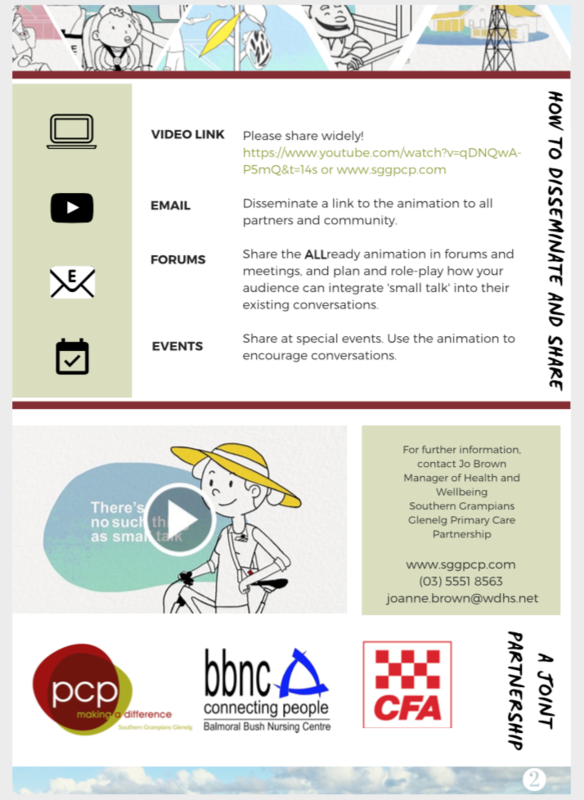 The animation follows the journey of a bush nurse, Pip, putting on different hats as the day goes about her day in a small town, always keeping information flowing through simple conversations about bushfire awareness. SGGPCP teamed up with Melbourne-based animation production company Creativa to create the one-minute animation, utilizing funding from CFA Summer Fire Initiatives 2017/18. The Balmoral Fire Connect project has also won honours 2017 Victorian Fire Awareness Awards, and took out the Victorian Community Award at the 2018 Resilient Australia awards by Emergency Management Victoria in September. To view the animation or read more about the Balmoral Fire Connect initiative, follow the link on the SGGPCP website www.sggpcp.com.